Prosper Technologies is a broad platform technology company that owns an intellectual property portfolio of several Gas Infusion (GI) patents. Our GI process is primarily used to infuse high concentrations of oxygen into liquids. Our technology is a unique Nano technology and the only one in the world that can instantaneously infuse supersaturated levels of oxygen into liquids, while simultaneously removing a gas. The GI process provides for more room for dissolved oxygen, thus creating a very stable highly oxygenated water or liquids. 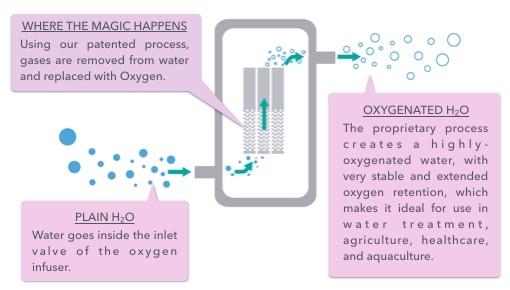 The very stable and extended oxygen retention delivers unprecedented results in industries such as; agriculture, water treatment, wellness & healthcare, energy, consumer goods, and aquaculture. Our gas transfer process occurs through a proprietary GI module that is easy to use, maintain, and has a low cost of use. Prosper’s GI modules are very versatile and can infuse various gases such as O2 and CO2. Curt Brockelman is the co-founder and the Managing Partner-Chief Risk Officer of Harvest Volatility Management, overseeing the firm’s portfolio and operational risk management, and responsible for the daily management of the firm’s investment and human capital. Prior to founding HVM, from 2003-2008, Mr. Brockelman was Chief Investment Officer and founder of Perch Bay Partners, LLC a volatility arbitrage hedge fund, trading index options on global markets. From 1996-2003, Mr. Brockelman was a Senior Vice President of Investments at Smith Barney and co-manager of The Brockelman Group. While at Smith Barney, he was a Directors’ Council member, and he grew his team into one of the top revenue producing teams in the firm. Mr. Brockelman holds an A.B. in Economics from Duke University. Mr. Ashforth is Executive Vice President of The Ashforth Company. He concentrates on providing strategic direction and sales for The Ashforth Company’s third party service subsidiaries and serves on the company’s investment committee. Prior to his current position, Mr. Ashforth was Chairman of Ashforth Pacific, Inc., the West Coast affiliate of The Ashforth Company located in Portland, Oregon. He created Ashforth Pacific in 1995 and helped grow the portfolio from 600,000 square feet to over 3 million square feet. Mr. Ashforth serves on the board of Columbia Green Technologies, the Lloyd EcoDistrict, and is a member of the Urban Land Institute and Oregon’s WPO chapter. He is the immediate past Chairman and current board member of The Freshwater Trust, and is Chairman of the Stamford, CT Energy Improvement District. He received his Bachelor of Arts degree with honors in History from St. Lawrence University. Max brings a diverse business background to Prosper Brands with over 20 years of business development and management experience. Mr. MacKenzie’s expertise is in developing and growing businesses by applying disruptive technologies to categories that have failed to evolve with today’s consumer. Prior to Prosper, Max was the Chief Executive Officer and Co-Founder of Sprout Foods. Max managed Sprout from its inception in 2005 through the end of 2010. Sprout’s innovative products and pouch packaging changed the $4B baby food industry, by leading the transition from the traditional glass jars into pouched packaging. Sprout developed into the leading brand of organic pouched baby food, and became the number one selling organic baby food per point of distribution, and one of the 500 fastest growing companies in the U.S. in 2010 under his guidance. Prior to the founding of Sprout, Max worked as an industrial designer and manufacturer, and has several U.S. and international patents. He has served on the financial oversight committee of the United Way in Greenwich, CT. and volunteered at several area charities such as New York Cares and the Red Cross. Gas inFusion (GI) is a mass transfer operation whereby sparingly soluble gases are dissolved in liquids in a completely bubbleless fashion by way of a proprietary GI module. The efficiency of this manner of mass transfer allows the production of stable liquid streams containing enormous quantities of dissolved gas on scales ranging from cc/min to thousands of gallons per minute at a fraction of the energy cost normally associated with gas dissolution. Our technology has been proven in the marketplace for over a decade and has been the basis of many peer reviewed and published papers. Prosper’s Gas inFusion process has been independently reviewed by government agencies such as the National Resource Council and RPC Scientific & Engineering in Canada. How is our oxygen infusion different than the competition? • Our process causes the oxygen to stay in the water far longer than the competition. • We don’t change the overall gas pressure of the liquid (important & unique because this is what creates the stable oxygen infused water). • Prosper can instantaneously achieve supersaturated levels of oxygenated water of 160 parts per million (ppm). • Other technologies can not easily or quickly achieve oxygen levels above 20 ppm. • Prosper has a more energy efficient process of oxygen infusion than the competition. • Prosper has a more time efficient process of oxygen infusion than the competition. • Our Gas inFusion modules are versatile and can infuse various gases such as O2, CO2 and other gases into any liquid. • Low cost of use. • Remote monitoring for maintenance. • Leasing removes upfront costs and includes system maintenance. Basys O2 System is the first dissolved oxygen infused irrigation system on the market that also has incorporated water purification. Our solution purifies source water 90% more efficiently than reverse osmosis and then infuses it with supersaturated levels of stable dissolved oxygen. 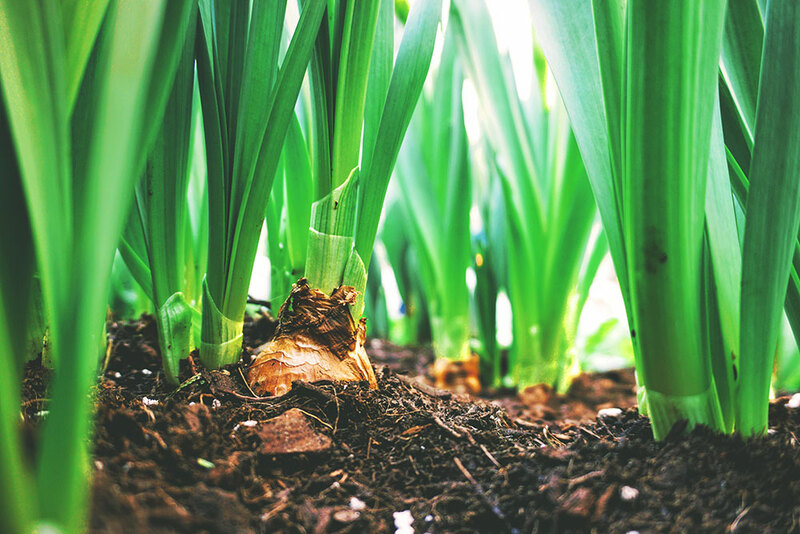 The results are accelerated growth and increased crop yields, using less water, energy, and labor. Skin Care: O2 infused spa system and skin care products effectively treat; eczema, psoriasis, acne. Alcoholic Beverages: Accelerates the aging of alcoholic beverages such as spirits and wine. Non-Alcoholic Beverages, Beer & Cider Most efficient process for infusing CO2 into beer and soda. Nitrification: Unique process for bottling nitrified beer and cold coffee beverages. Water Purification: Reduces water waste by over 95% versus Reverse Osmosis at over 75% more cost savings. Waste Water Aeration: Generation of O2 and scrubbing of sewage gases. Our technology can cut the costs by 95%. Ground Water Remediation: Environmental Remediation through oxygen and bioremediation. Benefits include recovery and re-use of recovered product. Surface Water Remediation: Pond, river and coastal water restoration by removing nitrogen and restoring oxygen levels in fresh and salt water environments. Wound Care: Increases oxygen to wound, creates vasodilation, hastens removal of bacterial bio-burden, chemical free. Normabaric Oxygen Therapy: Prosper has developed a medical device that is more effective and safer than Hyperbaric Oxygen Therapy. Dental & Oral Care: Periodontal disease, gingivitis, and halitosis are treatable by our O2 Therapy. Commercial and In-Home O2Hydro Therapy Spa Systems: O2Hydro that can be used to in environments such as spas, showers, sports training centers, swimming pools, and physical therapy centers. The ability to infuse high levels of stable dissolved oxygen into large or small spa systems creates a therapeutic environment that out performs hyperbaric oxygen therapy treatments, while being completely safe and chemical free. Sulfide Ore Mining: Our oxidation process enhances mineral extraction from sulfide ores increasing the metals recovery from an average of 80% to above 90%. Mine Tailings: Economical recovery of metals and environmental clean-up of abandoned mine tailing ponds. Aquaculture, Fish Farming: Removes nitrogen, maintains high levels of dissolved oxygen, reduces fish mortality, and accelerates growth. Aquaculture, Live Fish Shipping: We have developed a patented shipping container that keeps fish and shell fish alive in extended shipping conditions. Gas Scrubbing & Gas Stripping: Our gas transfer devices have up to 1,000 times the contact area of conventional packed towers, which creates substantial savings to CAPEX and OPEX. Enhanced Gas/Liquid Reaction Process: Many chemical processes rely on bubbling a gas into a liquid in order to initiate a chemical reaction. Many organic syntheses and absorption processes could benefit from our gas infusion. Prosper was presented with the opportunity to demonstrate the capabilities of our oxygen infusion technology on Sir Richard Branson’s Necker Island. The area targeted for demonstration was the Necker Lake and Flamingo Pond. Both bodies of water are salt ponds that had experienced declining health to the point they were anoxic. Prosper installed our patented oxygen infusers in the Lake in November 2016. The chemical-free application increased oxygen levels in the lake by over 1500%, triggering a bioremediation process that consumed and removed harmful elements and their associated odor. The health of the lake has significantly changed and now supports aquatic life, the flamingos and other wildlife, once again becoming a vital living part of the island’s ecosystem. "I had no idea that there could be a company which would transform filthy, dirty water, that was effectively stagnant and dead, and bring it back to life again. I'm enormously grateful to you for your time and energy on that. From what I’ve heard, there’s lots of fantastic uses that you could put this technology to…and it just feels fundamentally, you seemed to have gotten it right." Prosper Technologies LLC is proud to announce the acquisition of InVentures Technologies, Inc. and Canzone Limited to further its goal of driving innovative industry disruption and new revenue streams via transformative gas infusion applications.